Woodlice are top consumers of a three-trophic system (soil, leaf litter, woodlice), and they are closely related to pollutant absorbing surfaces such as soil, leaf litter, and organic matter. We studied the effects of urbanization on trace element concentrations and fluctuating asymmetry of Armadillidium vulgare (Crustacea: Isopoda) individuals in and around Debrecen city, Hungary. 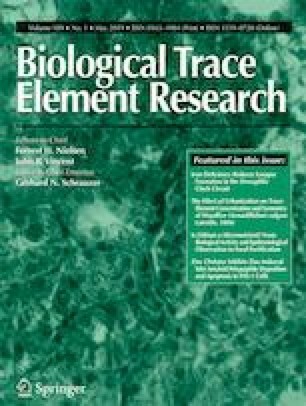 Along an urbanization gradient (urban, suburban, and rural areas), trace element concentrations (Ba, Cu, Fe, Mn, Pb, and Zn) of woodlice and bioconcentration factor (BCF) were analyzed. Asymmetry was also measured in metric traits of woodlice: the length of three segments of antennae, the body length, and the width of the 3rd segment of pereon. We found significant differences in Ba and Cu concentration of A. vulgare individuals along the urbanization gradient. The highest Cu concentration was found in woodlice from the urban area and the highest Ba concentration was found in the individuals from the rural area. The Ba concentration was higher in females than in males. The BCF values of Cu indicated that A. vulgare accumulated this element from soil and leaf litter. There was no significant difference in symmetry of the bilateral traits of woodlice along the urbanization gradient based on FA levels. Our results showed that the urbanization had remarkable effect on the Ba and Cu concentration of woodlice which were originated from traffic pollution. At the same time, the anthropogenic activities did not affect the symmetry of the tested traits of A. vulgare individuals. The study was supported by the SROP-4.2.2.B-15/1/KONV20150001 project. Research was supported by OTKA K 116639, KH 126481 and KH 126477 grants.